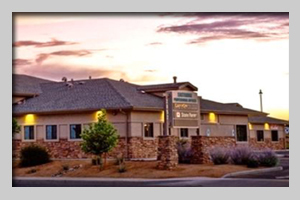 CANYON PHYSICAL THERAPY AND AQUATIC REHABILITATION is a family owned and operated business located in the Eastridge Professional Office Complex. We offer physical therapy services to the entire Quad-city area. Each of us at CANYON PHYSICAL THERAPY AND AQUATIC REHABILITATION are dedicated to providing a friendly environment, to make our patients’ physical therapy experience a positive one. We strive to create an environment where the patient can succeed and will want to return for care, contributing to greater patient compliance and positive outcomes. Central to this unique environment is the goal of Canyon to establish an open line of communication with the patient, physical therapist and the referring physician. This will be done by educating the patient about their condition or injury, ongoing communication with the physician as to the patient’s needs, progress and plan of care. Communication with all involved parties will insure an optimal level of care at CANYON PHYSICAL THERAPY AND AQUATIC REHABILITATION. Canyon’s physical therapists and support staff maintain the highest level of care through continuing education and evidence based practice. In addition to creating an excellent atmosphere for healing, Canyon provides the best equipment and treatment technologies available to allow optimal and complete patient care through our services. Canyon’s facility provides both land-based and aquatic environments for rehabilitation. This will offer our patients many options on their road to recovery. A 22’ x 15’ multi-depth, salt-water pool, will allow our patients to enter into the rehabilitation process earlier and allow an accelerated return to their prior level of function. This environment is optimal for post surgical patients of all types and those patients who are losing the battle with gravity and may benefit from a more forgiving environment to regain function. Our patients will also utilize a land-based gym with state of the art equipment including open and closed chain strengthening, core stabilization, postural strengthening, balance, proprioception, plyometric, and cardiovascular equipment. This facility will allow our staff to treat a wide variety of patient types including but not limited to orthopedic injuries, post surgical, back and neck, geriatric, sports and auto injuries, workers’ compensation, work hardening, balance and proprioception (risk of fall patients), foot and ankle injuries, fibromyalgia and acute vertigo (BPPV) patients. Canyon’s patient scheduling allows for increased patient compliance by offering both early morning and late evening appointment times during the week and also on Saturday’s. Patients are scheduled to provide optimal physical therapist one on one patient care, allowing each patient the time they need for their complete treatment. As a result, the patients have multiple options to receive care during a time that is most convenient for them. In conclusion, we wish to convey our mission to provide “UNCOMPROMISING CARE” and services to our patients. Please, do not hesitate to contact me if you have any questions about our clinic or services!